If youve ever looked at paragliders soaring high above the ground and thought I could never do something like that!, then this weeks post is for you. At Fly Cape Town, paragliding is our livelihood and safety is our top concern. After all, how could we share the joy of this sport with others if we were putting them at risk? Though its commonly labeled as an extreme sport, paragliding doesnt have the sort of physical intensity of, say, wingsuit flying or kiteboarding. Its actually a quite serene experience theres no free-falling sensation, no need for lightning-quick reaction times, and no wrestling of your craft against powerful wind forces. Gentle pulls on the suspension lines alter the shape of the wing above us, changing direction and pitch  and we simply glide on towards the next thermal pocket (or the landing zone). Any airborne sport (any sport at all, really) comes with a certain level of risk, but statistically paragliding is one of the safest ways to get around. Incidents (which include everything from major malfunctions to slight irregularities that result in scrapes and bumps) happen on the scale of a dozen or so annually  and thats across the entire country of South Africa  according to the South African Hang Gliding & Paraglidings reports. Statistics also indicate that the majority of these occurrences involve international pilots who are visiting the country, who may be unfamiliar with regional topography and weather conditions. Thats not a problem youll have with local companies like Fly Cape Town. 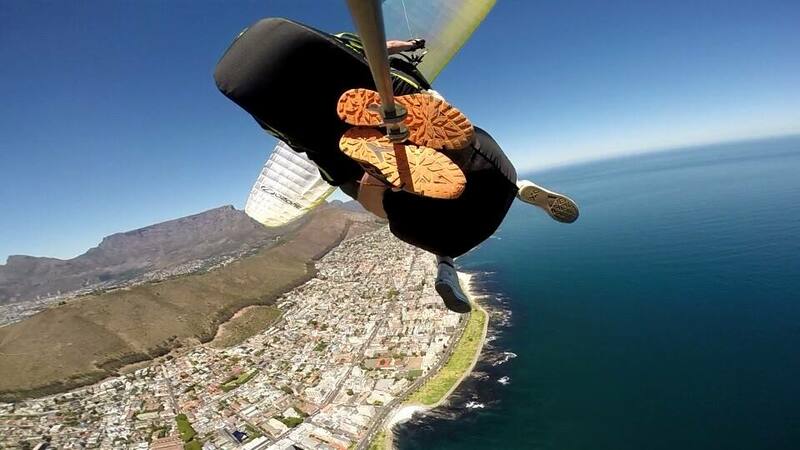 Paragliding is really as safe as you make it  and at Fly Cape Town, we prepare accordingly. Were licensed by the South African Hang Gliding & Paragliding Association, as is required by the Civil Aviation Act. Our gear is top-notch and painstakingly maintained, and our pilots are trained extensively in on-the-fly safety decision-making. We can also easily recognize weather conditions that may put pilots in danger, and plan around them. Theres simply no reason to launch with unnecessarily elevated risk factors  so we dont.